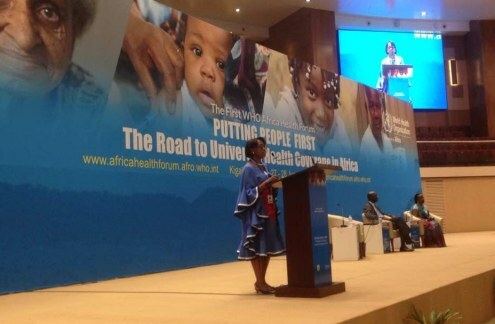 Speaking on the last day of the inaugural African Health Forum of the World Health Organisation Africa region, Rwandan First Lady Jeannette Kagame has urged elders to overcome the uneasiness that stops them from passing on lessons they have learnt to adolescents. 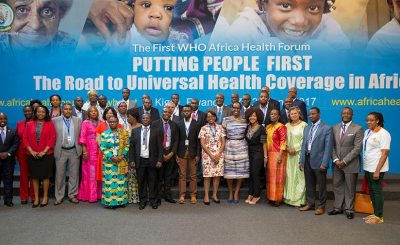 Health experts and stakeholders from across the continent were in Kigali to discuss how best to bring the private sector into the delivery of universal health care in Africa, the impact of climate change on health, and the new threat of non-communicable diseases like diabetes and hypertension. 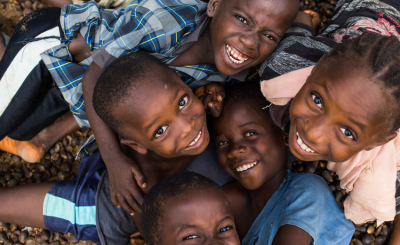 More information, including videos from sessions: 1st WHO AFRICA HEALTH FORUM. Rwanda: What is the Role of Private Sector in Healthcare Delivery? 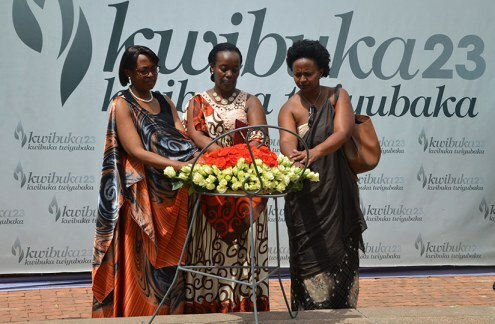 The World Health Organisation regional director for Africa Dr Moeti, Dr Diane Gashumba and Dr Jeannine Condo lay a wreath at Kigali Genocide Memorial. 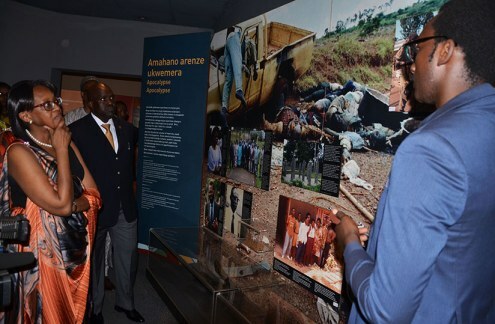 Dr Matshidiso Moeti and other officials tour inside Kigali Genocide memorial yesterday.